SAN LUIS OBISPO — Cal Poly’s University Art Gallery will present “Télévoix,” an art installation featuring photos, videos and sculptures by artist Victoria Fu, to run Jan. 17 through Feb. 8. The exhibit will open with a talk by Fu at 5 p.m. Thursday, January 17, in Room 159 in the Dexter Building (No. 34) on campus. A reception will follow from 6 to 7:30 p.m. in the gallery. “‘Télévoix’ is a group of artworks about the shadows of images, the emptiness and mystery that poses — thinking about the presence, thickness and material of images, whose pixels have none of those things,” Fu said. 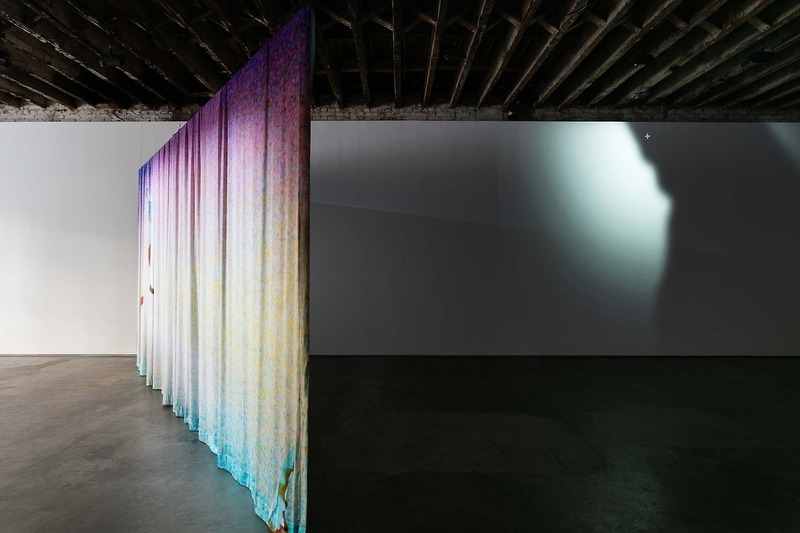 The exhibition consists of a video on a monitor, a projected video of fake shadows, an image-based sculpture in a corner, and a large double-sided curtain. Fu is an associate professor of art at the University of San Diego and maintains a studio in Los Angeles. She earned a bachelor’s degree in art history from Stanford University, a master’s in art history/museum studies from USC, and an MFA degree from CalArts. She has received grants from Art Matters and the Harpo Foundation and is a 2015 Guggenheim Fellow. Her artwork is included in the collections of the Whitney Museum of American Art in New York; Pérez Art Museum, Miami; Los Angeles County Museum of Art, Los Angeles; MIT List Visual Arts Center, Cambridge, Massachusetts. Her art installations have been exhibited at the Museum of Contemporary Art in Tucson, Arizona; Katonah Museum of Art, Katonah, New York; Center for Ongoing Research & Projects, Columbus, Ohio; The Contemporary, Baltimore, Maryland; University Art Gallery at UC Irvine, California. Cal Poly’s University Art Gallery is free and open to the public from 11 a.m. to 4 p.m. Tuesday through Saturday. The University Art Gallery is a venue for helping to nurture creativity, empathy, innovation, design skills, storytelling, and big-picture thinking by bringing bold thinkers, emerging and established artists, and creative professionals to campus. Providing a venue for five exhibitions each academic year, the University Art Gallery serves Cal Poly and the surrounding area. The gallery showcases nationally and internationally known artists, as well as student, alumni and faculty artwork.